Born in Nigeria, Dr. Uju moved to New York City at a young age and spent the remainder of her childhood in Harlem. She obtained her Bachelor’s of Science degree in Sociology from Vanderbilt University in Nashville, Tennessee. Returning to the Tri-State area, Dr. Uju completed her Doctor of Dental Medicine (D.M.D.) degree at Rutgers University School of Dental Medicine (formerly the University of Medicine and Dentistry of New Jersey – UMDNJ), where she spent her final year in Somerdale, NJ at the Community-Oriented Dental Education (CODE) program. Dr. Uju’s desire to help patients and to preserve their teeth and smiles inspired her to become an endodontist. She gained acceptance into the University of Pennsylvania’s prestigious residency program, earning her Certificate in Endodontics. While at PENN, she had the opportunity to learn modern endodontic and microsurgical techniques from some of the most accomplished and innovative minds in the field. 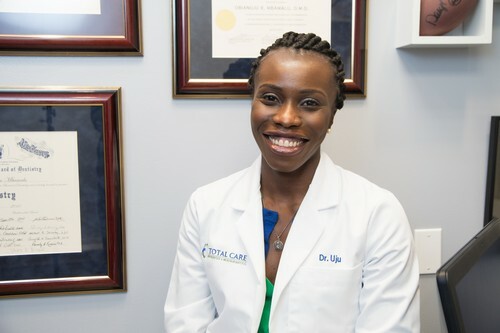 Upon the completion of her studies, Dr. Uju began her private practice career in Albany, NY, where she spent three years in the blistering cold before deciding to return to Northern New Jersey. Dr. Uju also has a passion for teaching. In dental school, she tutored several of her colleagues in challenging didactic classes, and while at PENN, she educated pre-doctoral students and dentists from around the world about the advanced science of endodontics and microsurgical procedures. It was this acumen for teaching that led her to serve as an attending faculty member at Harlem Hospital’s General Practice Residency program, which is affiliated with Columbia University. A fully-licensed practitioner, Dr. Uju is a Board Certified Endodontist. She has successfully completed necessary case work to achieve that distinction. 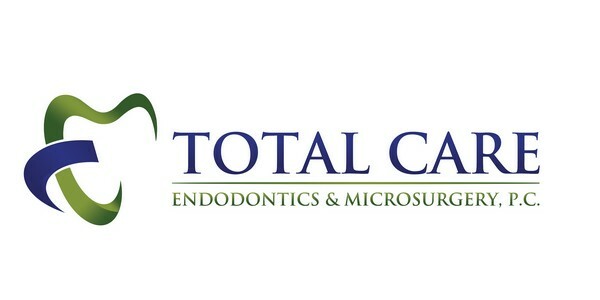 Certification by the American Board of Endodontics is considered the ultimate clinical credential, and only the top 20 percent of all specialists are awarded with this accolade. Dr. Uju also has her Basic Life Support (BLS) and Advanced Cardiac Life Support (ACLS) certifications. An active supporter of the local community, Dr. Uju is a member of the American Association of Endodontists (AAE), American Dental Association (ADA), Commonwealth Dental Society (CDS), Essex County Dental Society (ECDS), Greater Metropolitan New York Dental Society (GMNYDS), and New Jersey Dental Association (NJDA). When not practicing endodontics, Dr. Uju’s personal passions include sports, fitness, traveling and African performance arts. Stop by the office to view photos of some of Dr. Uju’s favorite international spots or give her some tips for a must-see destination. Dr. Uju is always ready for life’s next big adventure and approaches every day with an infectious enthusiasm, as well as a commitment to providing you with the most comfortable and attentive care.